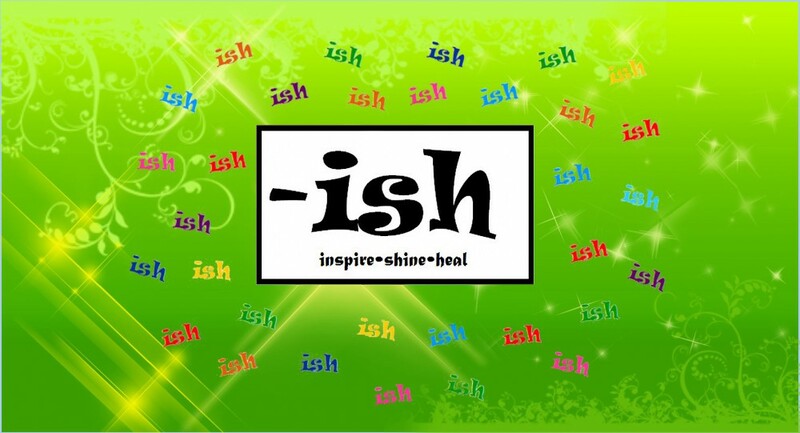 Due to living life to the fullest and vacations etc., the ish Radio show for this week has been post-poned, and will resume in early August. Check back for updates; thanks for your support! Happy Friday! We have all felt stress. It makes us sweat, it keeps us up at night, it causes worry and discomfort. 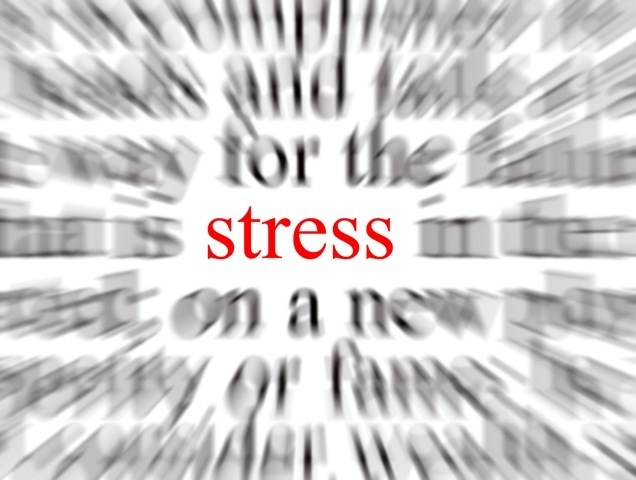 Stress is linked to many physical and emotional problems. There are ways to combat stress and find relief. We are going to talk about all of this and more on the radio show this Sunday. I hope everyone can tune in. You can also listen to it as a podcast later! Give us some good feedback please! And a Happy Friday to you!! We indeed have a lot to discuss on this topic this coming Sunday! It will likely surprise our readers to discover that science has linked 85-95% of the source of all illness and disease with stress, so it’s something vital to be conscious of in your own lives. We’ll see you all then, 9 PM Central Standard time at Blogtalkradio.com! 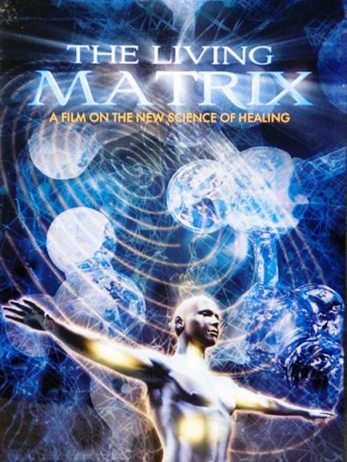 I want to share with our readers another documentary film which is incredibly eye-opening: The Living Matrix (2009), dir. by Greg Becker, is a super resource that everyone should see for how it explicitly demonstrates the notion of how everything truly is energy, and in this program the focus is on how that applies to our mind and body connection. I recently discussed the vanishing tumour on the documentary, Something Unknown…, and there are similar experiments exhibited here in The Living Matrix: there is a lot discussed about the “heart field”, which detects things about our environment, before our mind is even able to register the same things, and which is also the transmitter/receiver for feelings of love and connection. We as humans have an inherent sense about the heart’s connection to love and feelings, but as science developed we began to study and associate such associations with areas mapped within the brain, even locating the sections of grey matter that “fire-up” with more neural activity when these feelings are accessed. But what science is now finding goes even further to illustrate how our heart-field, an observable energy-pattern radiating outwards about two feet from our heart organ, is actually the “instrument” of accessing these feelings, and how it’s then the brain which analyses it from a logical perspective; the “feelings” actually occur with the heart itself. In one part of the film, a married couple of several decades are brought into a scientific lab facility, and separated into separate wings of the building, very far apart from one-another. The male is connected to a viewing device and wired with electrodes to monitor his heart-rate and brain activity. His wife is similarly wired, but without anything to look at or respond to. In the course of the experiments, the wife is able to “feel” everything her husband does – her physiological responses begin to mirror everything his body and emotions go through, based upon how he reacts to the imagery before him. This experiment displays how people who are closely-connected can intuitively “know” how the other feels, even when separated by great distances, or how mothers can have such intuition about their children. A similar experiment in the film shows that participants actually respond physiologically to the images that are about to flash onscreen before they ever appear to the senses. For example, when a viewer is shown slides of random objects, landscapes, animals, or people, there is an observable corollary in emotional response to what is onscreen; images of babies, beautiful landscapes, and lovable animals all trigger smooth hear rates and a contented peace in brainwave activity. But images of ferocious animals, desolation, and angry confrontations between people induce stress in the same. However, these responses were noted a full second or so BEFORE the slides changed position, meaning there is no way the eyes could detect what was next. The accuracy of the heart-field response to every imminent image was so strong and so regular in participants that a definite connection is shown about our “extrasensory” ability to detect beyond our age-old beliefs about “the five senses”. If there’s any drawback to the documentary, it’s that it relies a little too-heavily on “talking heads”. There is a LOT of very scientific and medical information being presented by scientists and medical practitioners, and though what they say is helpful, interesting, and very salient to the outline of the program, there could be a bit more variety of visuals accompanying their speaking narration. But at a lean 85 min. running-time this is hardly a major detraction. Hopefully some of our readers will check out this amazing DVD, and help spread the information of just how important a connection there truly is between our hearts and the feelings we experience. I’d already heard mention in an interview with Marci Shimoff about how one can give self-love to oneself simply by placing your hand over your heart to contain the heart-field energy radiating out of your chest, and redirect it to heal what’s inside in moments of doubt or stress. But to see these experiments and experts demonstrate similar concepts in visual and audio-form is a wonderful revelation! This was a really interesting read. I like the way the heart-fields were tested. I know that there are certainly people we have a deep connection with and it’s amazing that science can show that it is real. I know that mothers definitely have extra intuition where there children are concerned. It’s a power that is so natural and it’s eye-opening to understand it on a more scientific level. Thanks for sharing this documentary and some of what it represents. I hope that many of our readers will check it out! Breaking down the barriers of comfort zones! The sweaty palms from public speaking, the shaky legs from skiing down a massive mountain, the terror of visiting a country where you don’t know the language, the fright of meeting the in-laws for the first time, the near heart-attack I almost had from doing our first radio show last night! All of these and many more things can take us out of “comfort zones”. The comfort zone is a “behavioural state within which a person operates in an anxiety neutral condition, using a limited set of behaviours to deliver a steady level of performance, usually without a sense of risk”. I think it must be that risk that scares us. The risk of a faux-pas during a speaking engagement, taking a tumble down the mountain, going to a new culture and not understanding, meeting new people who are forced into your life, or having NO idea what to expect from speaking “on the air” to lots of people. BUT..what is life without risk? Where do we go if we never push through to the level where we are expanding ourselves? BORING! We become boring. And we go nowhere. We are content to live in a place of comfort and monotony. 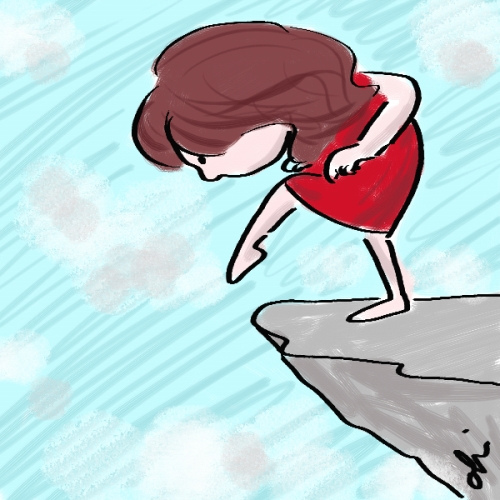 What is life without the heart-thumping risks? Think how good you feel when you try something new or embark on something difficult for you and you DO IT!! Such a fantastic feeling of accomplishment. We may not do things well the first time, things may not go as planned, but we should give ourselves a pat-on-the-back for trying! A very wise person told me this: when you are scared you’re moving out of your comfort zone, don’t pull yourself back in…expand your comfort zone! The only way to expand the zone is to try new things so it becomes a comfortable thing to us. Then we try something new again, etc. Trying new things helps us in so many ways. It builds confidence, it helps us learn things we wouldn’t know otherwise, it allows us to help other people, and it keeps us from becoming stale. My challenge to you Sir Damon and to all of our readers today is to BREAK down the barriers! Do something you’ve been afraid to do. As for the raise, talk to the girl, hit the gym, run the marathon, write the book. You’ll be glad you did! I live for this! Most of the past decade I’ve been all about really pushing myself into uncomfortable situations, because I always come out stronger, no matter what actually occurs in the moment. Every scenario is temporary, and if we can just push through and grab all-that-we-can in that small span of time, we ground ourselves and become a richer, more interesting person as a result. Even the times that have been utter disasters are in-fact rather hilarious soon after, and once you have enough of these seeming tall-tales on-hand to relate to new acquaintances, it immediately sets them at ease and makes them relate to you more, no matter what their background; everyone is human, and wants to know they share the same foibles. You can’t be a better person without constantly learning, and you can’t learn unless you put yourself into new and differing situations. I used to think you could gain most knowledge by simply reading or through media, but it wasn’t until I learned that living outside your comfort zone is the best educator; I’d say that we learn twenty times faster in the actual doing a thing, than simply reading about it, and what we know of muscle-memory and the power of the subconscious to record trillions of bits of information every second when in a real-scenario all contribute to this! I encourage our readers to take a chance today on something you’ve always wanted to do; you really DON’T have anything to lose!! If you miss it, we’ll have the audio MP3 available early this week! This Week’s Radio Show Topics! We’ll be going for 55 min. total, so we’ll have about 15-20 min. per topic, between our introductions to this new format of ish; I can’t wait! I was going to say something like, “I can’t wait to do this show! It’s going to be so fun!” but then I realized that’s not entirely the case. I approach this with some trepidation because I don’t usually edit what I say, and after all, this IS radio! Sometimes I say things that may raise an eyebrow at the very least. 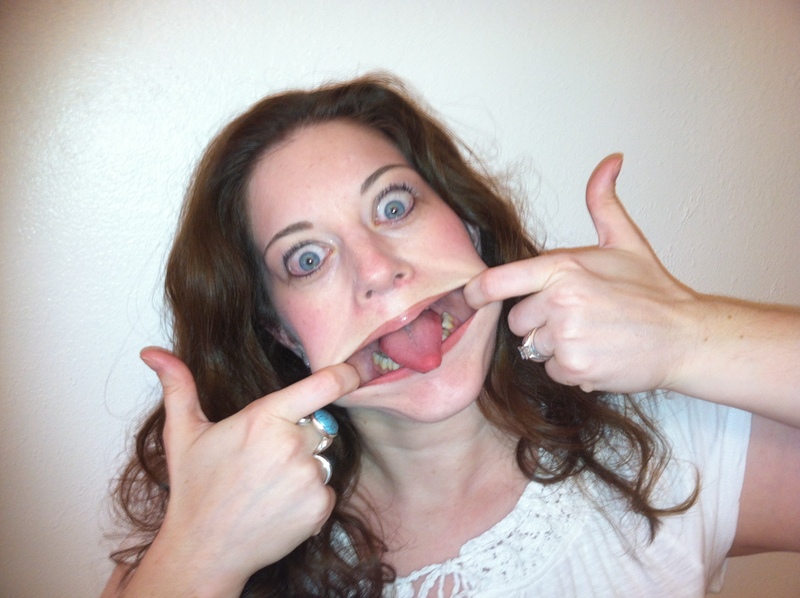 People may be offended or disagree OR if they have a decent sense of humor they may revere me! I would ask that everyone who listens plan on having a good laugh or two, learning a few things, and just relaxing while listening to one wise and knowledgeable person (Damon) and one silly and outspoken person (me)! We look forward to it!! 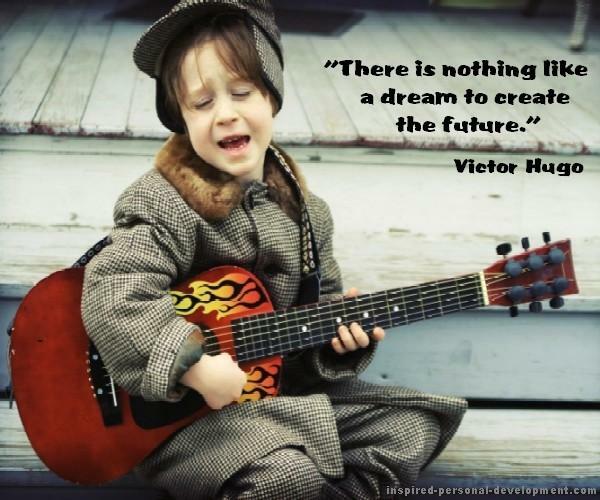 Need help manifesting through visualization? The Manifester program helps make it easy: Click Here!